Los Angeles, CA, December 7, 2015 — Roland is proud to announce that its M-5000 OHRCA Live Mixing Console has been nominated for a Technical Excellence & Creativity (TEC) Award for Outstanding Technical Achievement in the Large Format Console Technology category. The 31st TEC Awards will be presented Saturday, January 23, 2016, at The NAMM Show in Anaheim, California. 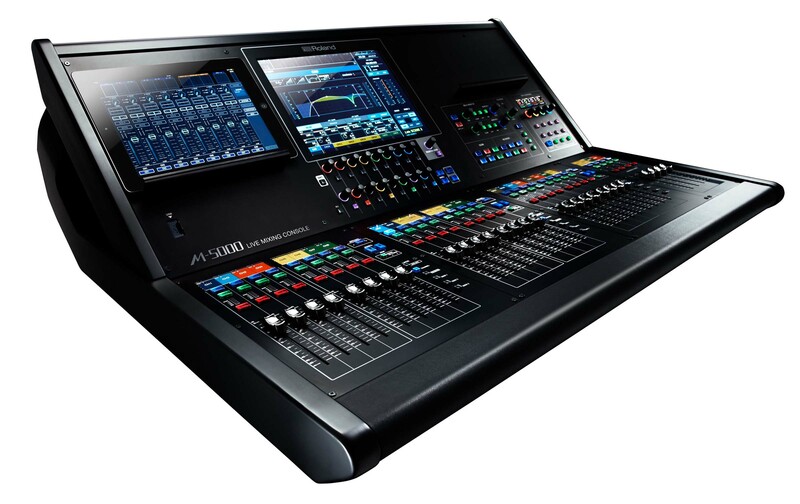 The Roland M-5000 Live Mixing Console is the first product based on the OHRCA platform, which opens a new generation of live sound solutions for audio professionals. “OHRCA” stands for “Open, High Resolution, Configurable Architecture,” and the M-5000 reflects this by delivering freely definable audio paths, supporting multiple audio format protocols and offering pristine 96 kHz sound quality throughout the system. The Roland M-5000’s internal mix architecture is not fixed and can be freely defined for mixing channels, AUXs, Matrices, subgroup busses, and MIX-MINUS buses within a range of up to 128 audio paths, allowing users to create a console structure to suit the needs of the application. Photo caption: Roland M-5000 OHRCA Live Mixing Console. © 2015.